It’s going to be another two-post day today. I had a great day yesterday, lots of sewing, playing and I got a quick Lightroom lesson from my awesome mate Adrian. I also started installing the shelving in the bedroom, busy, busy, busy. Now, while Clara is asleep and the big boy is happily playing out in the garden, I have a few minutes to take some photos and do some writing. After the week that’s been, I need a tea called ‘Sanity Restored’ – anyone heard of it? The babies are sleeping better at night, but this just means they’re ready to start the day earlier. Around 5am is the new norm, which is a bit rough for a tired mummy. Anyway, my everyday tea is Green Tea with Jasmine. I’d like to say I take green tea straight up, but I just can’t. Reminds me too much of lawn clippings. I’m not all that discerning either (yet. I’m sure that will change as I work my way through the offerings at Silva Spoon), so I’m totally happy with the cheapo box from Aldi, which I’m sure is less that $4 for 100 teabags. It does tend to get bitter if it steeps too long, something to be aware of. I also really like Madame Flavour’s Delicate Green Jasmine and Pear, and packed a box in my hospital bag when I had Clara. It’s a bit more expensive, at around $5.80 for 18 teabags. 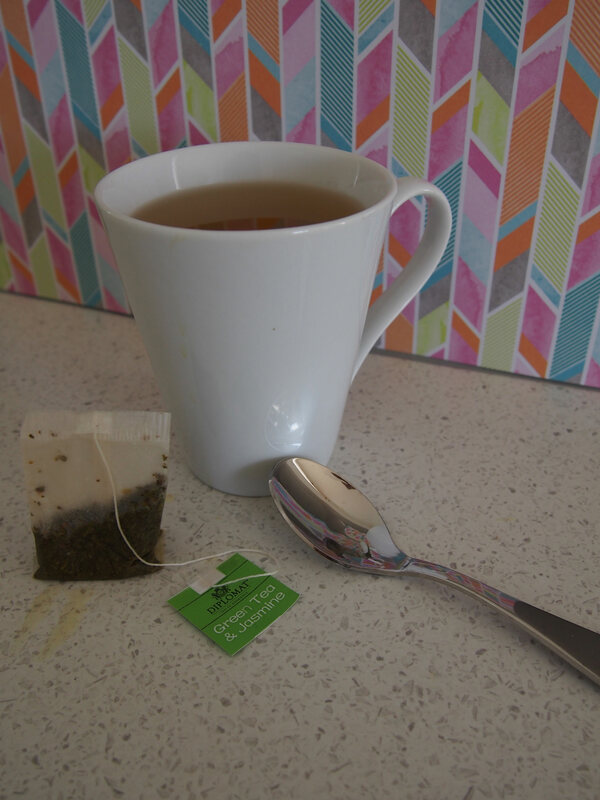 I did some quick reading about green tea, and it’s most beneficial component, Catechins. These guys are antioxidants that look after many parts of the body. 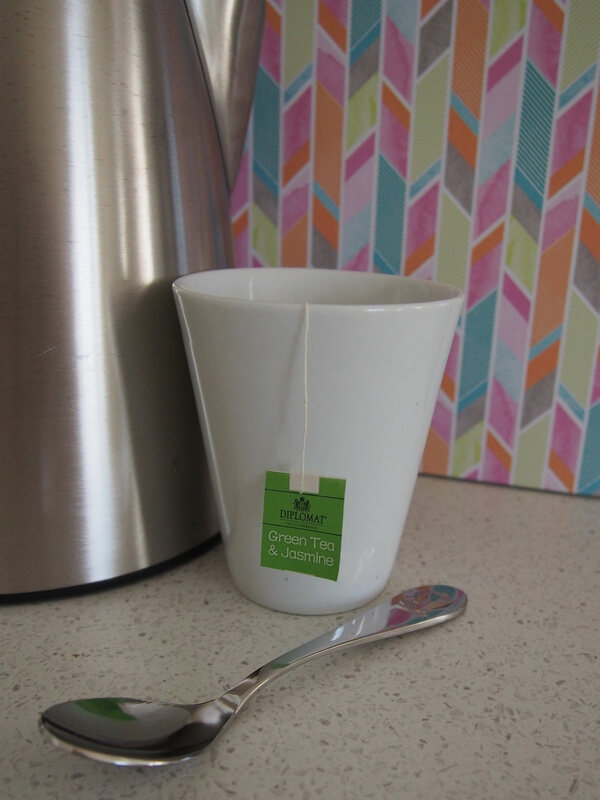 Apparently green tea is processed very little before it hits your teacup, so they’re still quite plentiful. The only advice I found was to not add boiling water, as this can destroy them. Instead, wait a few minutes after the kettle boils to add water.